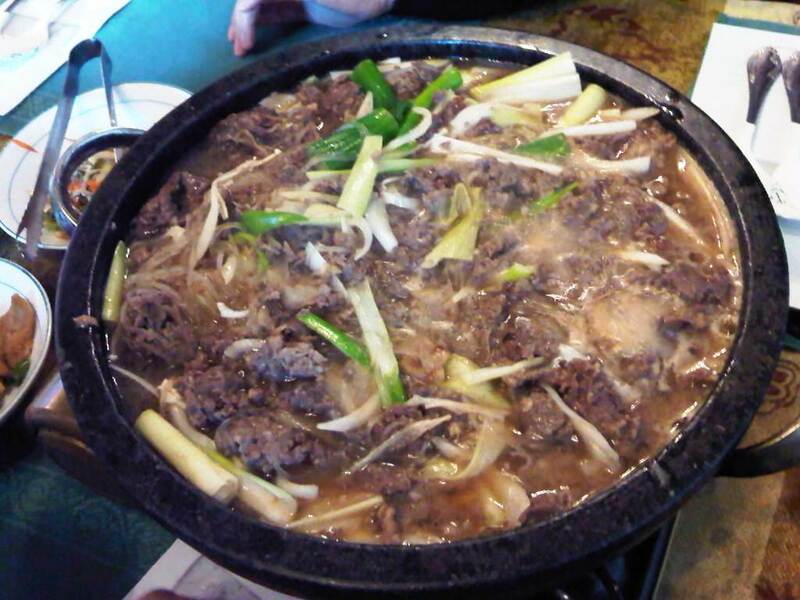 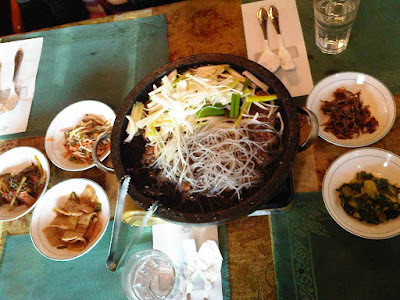 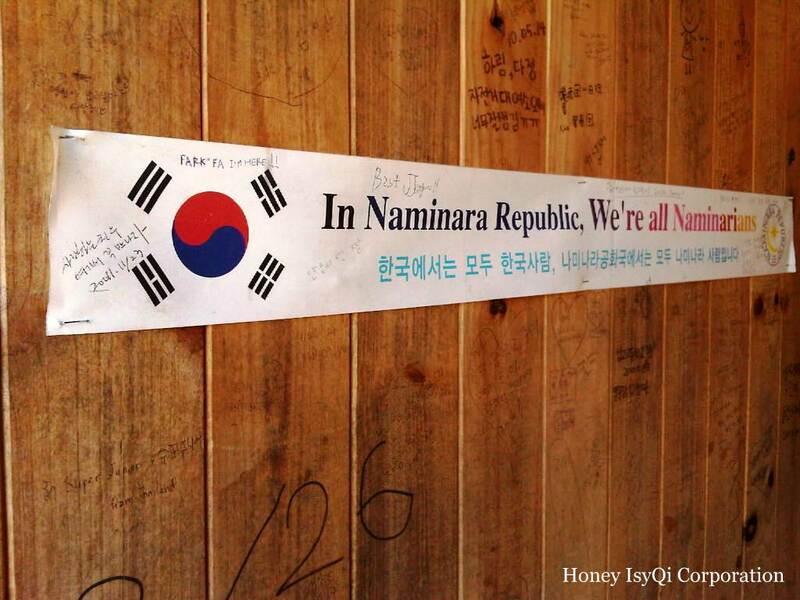 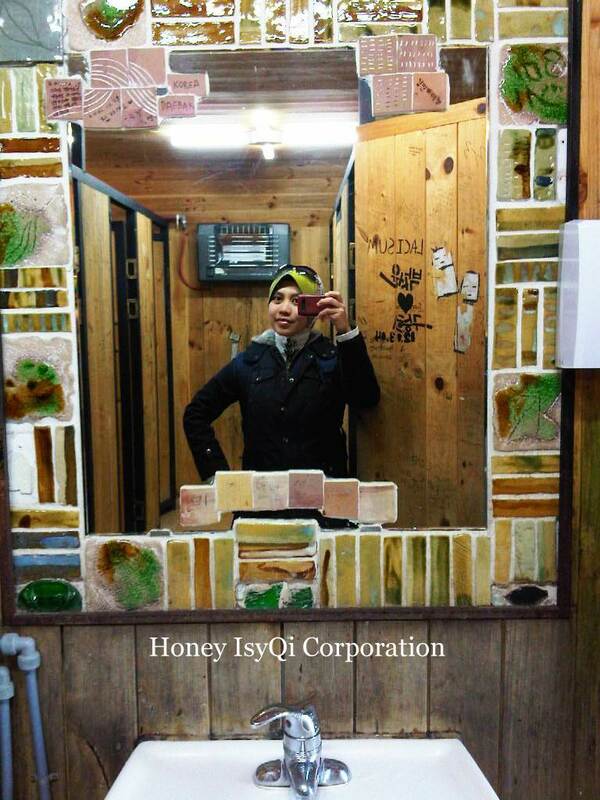 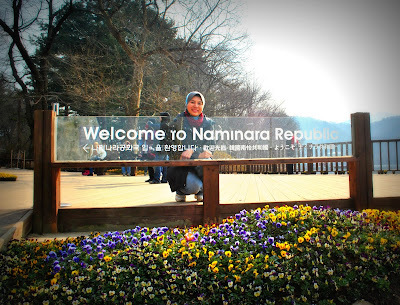 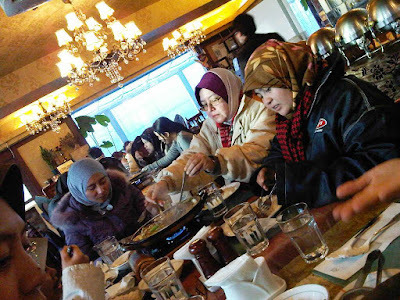 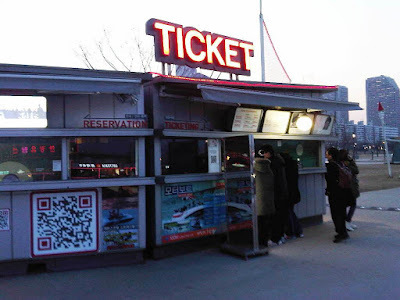 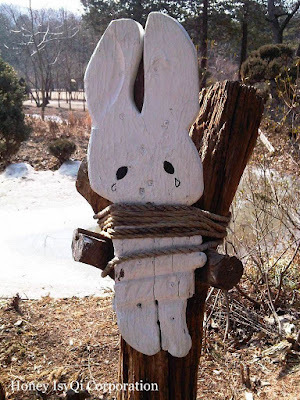 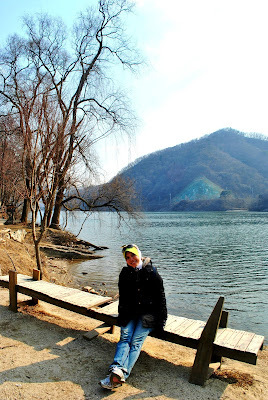 Previous entry dah story about journey to Nami Island by ferry. 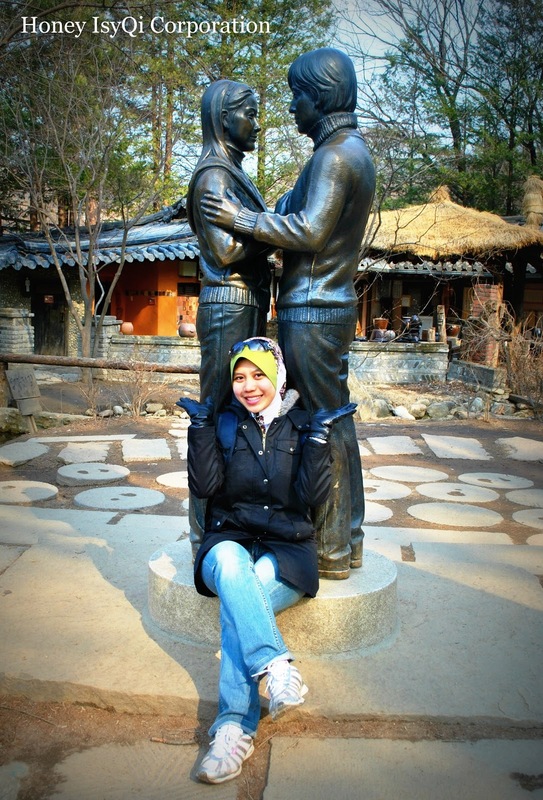 Dan juga singgah kejap di Chuncheon Street, Winter Sonata Film Location. 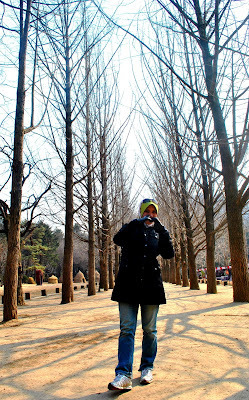 Take photo between Metasequoia (Dawn Redwood) tree. Gambar wajib when u come to Naminara. 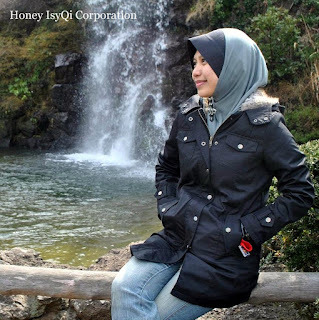 Start explore this romantic island. 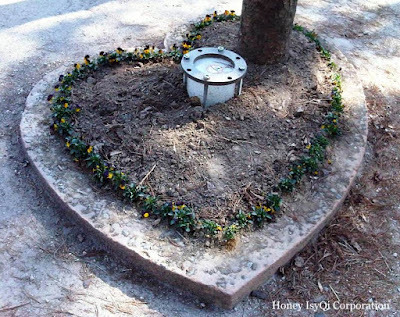 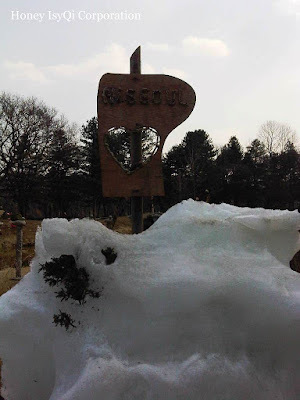 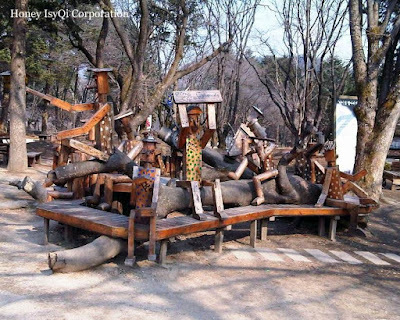 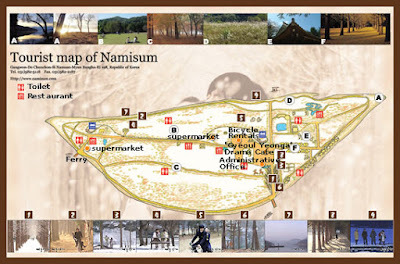 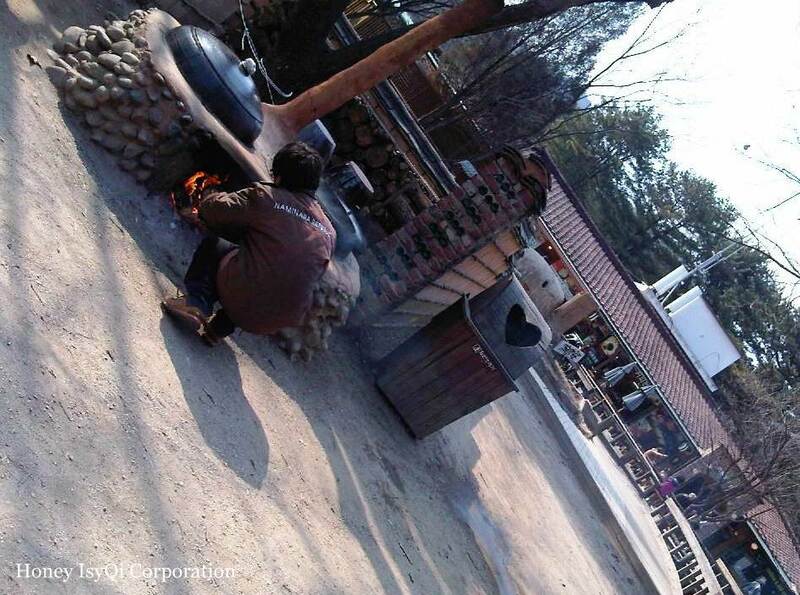 Here's the location for filming Winter Sonata at Nami Island. 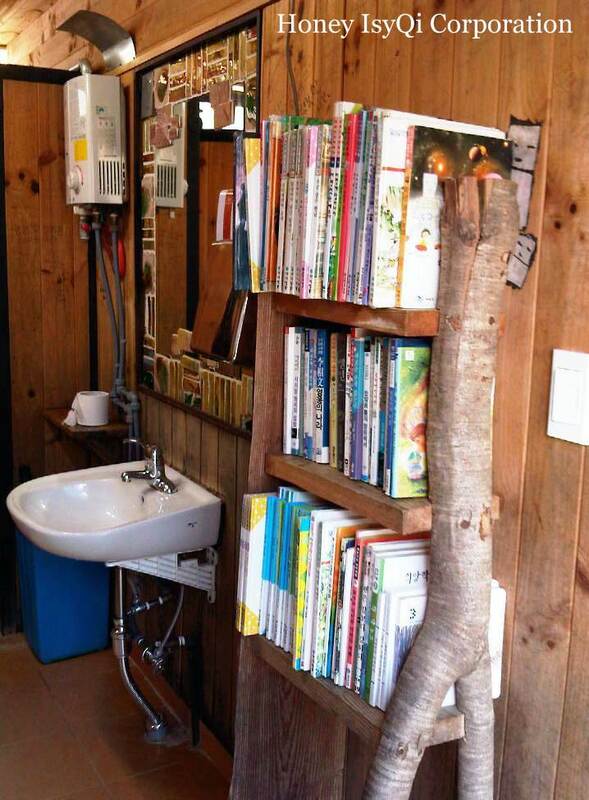 One more thing, toilet dah jadi macam library pulak bcoz it have books inside!! 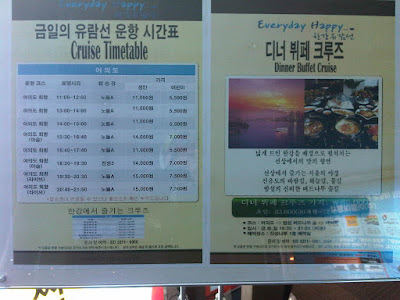 Dah masuk dalam cruise. Waiting the others and also Korean singer that will perform during this hepi-hepi trip. 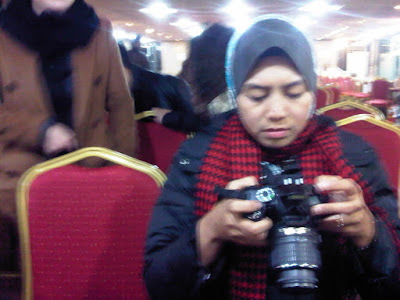 Inside the Cruise - My sis busy with her camera. Mr Wan - My only guy friend during these holiday. 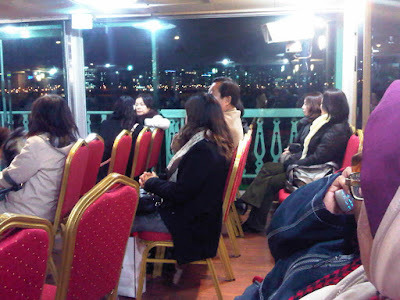 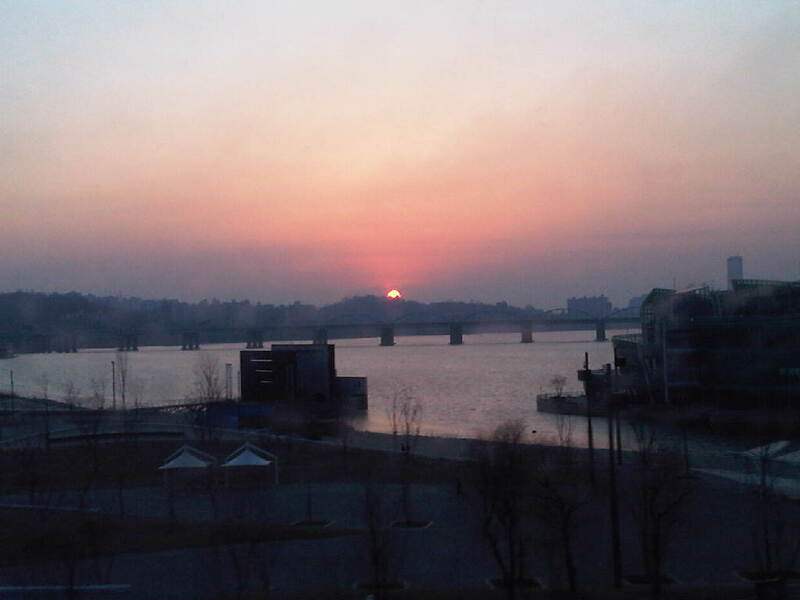 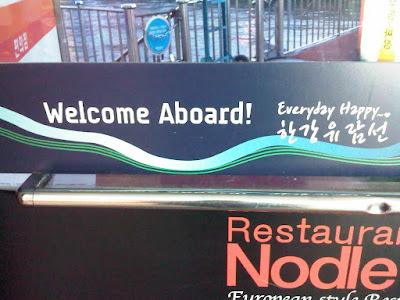 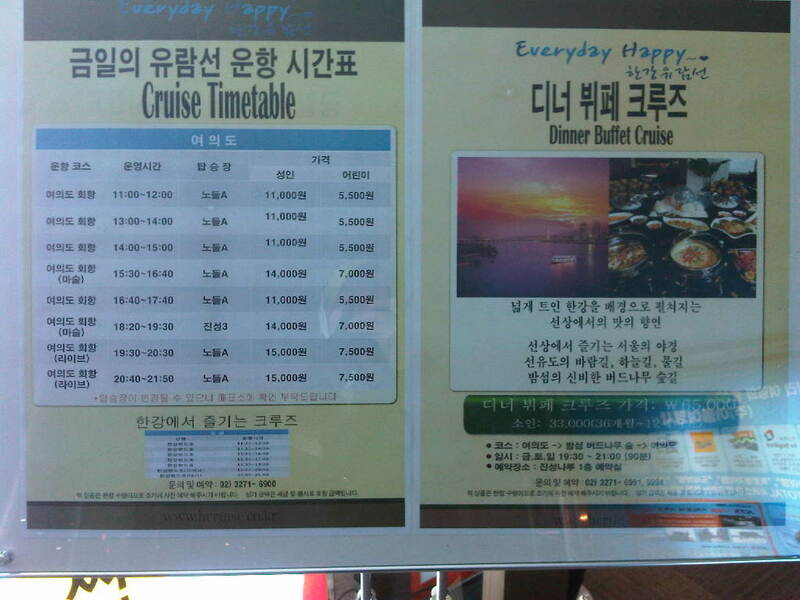 After waiting about 15minutes, our Cruise start the journey along Han River. 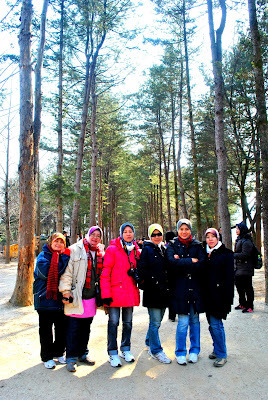 Now ready to breathe fresh air outside, also take pictures banyak-banyak. 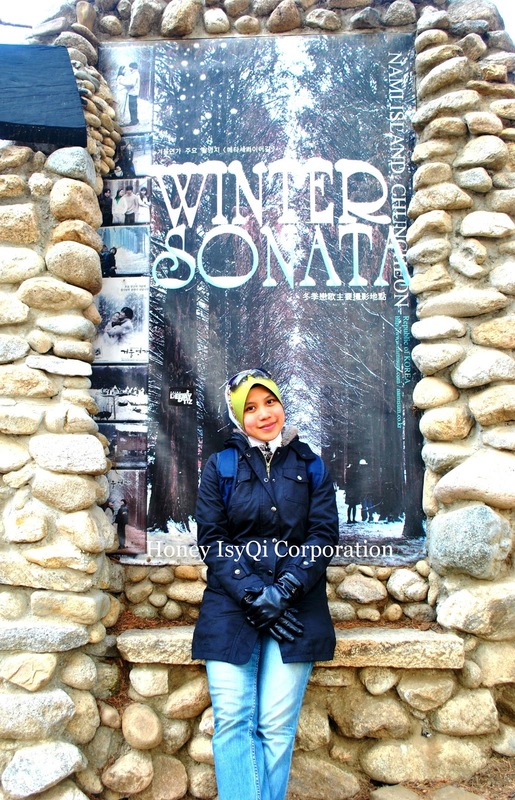 During this trip, there are one amazing building yang dapat dilihat dari kejauhan. 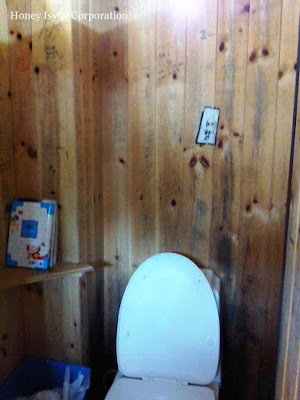 It was lit up with coloured lights and changes colour, like a beautiful rainbow. Sangat kagum dan happy that time. It was very pretty sight. 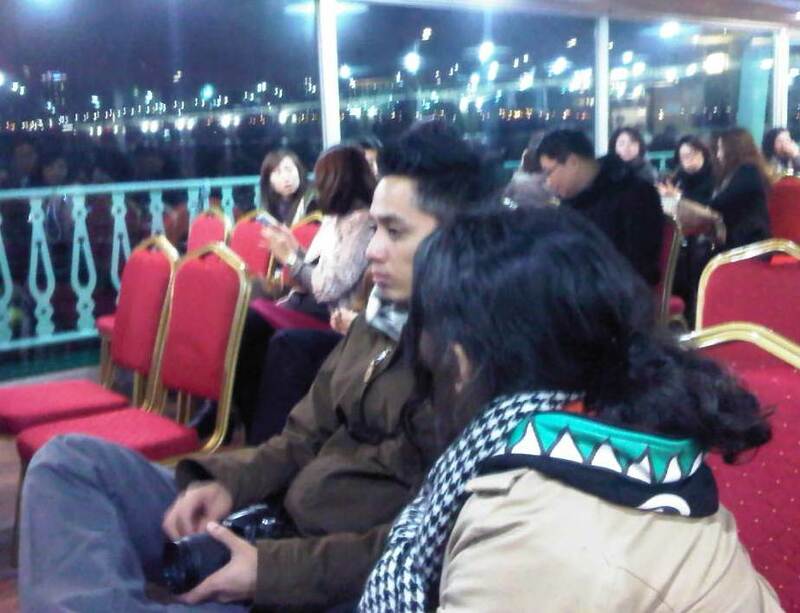 That beautiful building is just like a check point where the Cruise make a U-Turn and going back to the jetty. Arriving the jetty. 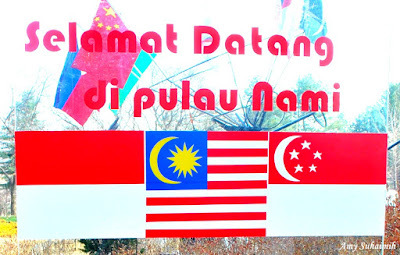 Walaupun sangat sejuk outside the cruise, tapi sangat-sangat puas hati. I think the Han River Cruise is a perfect date gateway. It feels so romantic at night with city light glowing beautifully and scenery in the pleasant river breeze. suke dgn entry awk.mcam nak pegi jugak tapi takde duet..